EghtesadOnline: Not much is going for stocks these days as the current fiscal year is drawing to a close (March 20, 2017), but speculations are rife as to their outlook for the new Iranian year. Iran’s two main exchanges Tehran Stock Exchange and Iran Fara Bourse have experienced a seesaw year so far. The most important factor about listed companies has been the removal of sanctions in January 2016 as part of the nuclear deal Iran signed with world powers a year before. The diplomatic achievement was hoped to help recession-hit industries boost their performance. However, much of this optimism was grounded, as systemic challenges facing troubled firms continue to haunt them. The over-enthusiasm buoyed by the high hopes generated in the runup to the nuclear deal and its implementation has sent the average price-earnings ratio at Tehran Stock Exchange to a record high of 7.2. This is while many listed companies have yet to post the profits investors expected from them, raising speculations that the high average P/E ratio is here to stay for quite a while, Financial Tribune’s sister publication Donya-e-Eqtsead reported. TSE’s main index TEDPIX plunged by 1,782.9 points or 2.24% during the 11th Iranian month of Bahman (Jan. 20-Feb. 18) to end at 77,599.1. IFB’s benchmark, on the other hand, gained 7.8 points or 0.92% to close the month at 852.8. As deputy for research at the Institute for Management and Planning Studies, Mehdi Barakchian, put it at the Fourth Iranian Economy Overview Conference was hosted by Donya-e Eqtesad Group, the parent company of Financial Tribune last week, the after-effects of the new presidency, the upcoming presidential election in Iran and ailments in Iran’s banking sector are the main triggers of uncertainty for Iran’s economy in the coming year. He also believes Iran’s economic growth in the new year hinges on the proper implementation of the nuclear deal, growth in global prices of commodities, a rise in domestic gas production and growth in demand. Major economists and pundits addressed the event on Wednesday and discussed Iran’s economic outlook in the new fiscal year. Economic growth, inflation and exchange rates are major contributors to the performance of listed companies. After all, they reflect the overall state of the economy. International Monetary Fund has projected Iran’s economic growth to stabilize at 4.5% over the medium-term, as the country’s recovery broadens following the lifting of sanctions. Real GDP growth is expected to reach 6.6% by the end of the current fiscal, as oil production remains close to the OPEC target. Iran’s economic growth for three quarters of the current fiscal year (March 20-Dec. 20, 2016) stood at 7.2%, according to the Statistical Center of Iran. Excluding the growth in oil sector, the rate stood at 5%. The industrial sector was the main driver of economic growth during the period, expanding by 10.5%, SCI reported. Iran’s economy emerged from recession two years ago (March 2014-15) with a 3% growth. The rebound followed two years of recession when the economy contracted 5.8% and 1.9% back to back, according to the Central Bank of Iran. Last year’s (ended March 2016) growth was put at 0.9% by SCI. As for inflation, according to IMF, the rate is expected to temporarily rise to 11.9% year-on-year by March 2018, reflecting recent liquidity growth and pass-through from exchange rate depreciation, before returning to single digits on the back of prudent fiscal and monetary policies. Iran’s inflation rate went below 10% for the rolling year ending June 20, 2016. This was the first time the country was experiencing single-digit inflation in about a quarter century. However, the Central Bank of Iran reported an average inflation rate of 8.73% for the 12 months to February 18 (the end of the Iranian month of Bahman), indicating the first major rise since June 2015. Inflation averaged at 8.58% in the month to January 19, showing a 0.01% increase compared to the preceding month, which had experienced a record low inflation since March 1992. Another factor that can directly affect stocks is the exchange rate, as more than half of the listed companies are working with global markets through various channels. The exchange rate is expected to be heavily controlled early next year, mostly due to the presidential election coming up and the administration’s concerns regarding its public image. Iran’s upcoming presidential election has been scheduled for May 19, 2017. The country currently uses two exchange rates: the free market rate and another lower rate for a number of state transactions. Efforts to unify the rates have failed so far. 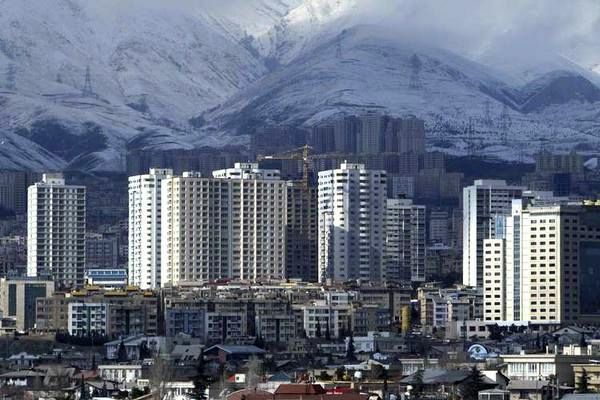 According to Masoud Khansari, the head of Tehran Chamber of Commerce, Industries, Mines and Agriculture, a multiple exchange rate regime calls for allocation of subsidies to imports and prepares the ground for rent-seeking and lack of transparency. The IMF is optimistic that Iran can unify its dual foreign exchange rates in 2017-18 despite challenges facing the country, such as currency market volatility. Considering the worst-case scenario of a turbulent political climate, limited economic growth and rising inflation, Donya-e-Eqtesad predicts the TSE benchmark to drop down to the 69,000 mark and hover around that for the year to come. In the best-case scenario, the economic daily believes TEDPIX has the potential to reach 102,000. But the more sensible scenario would be between the two extremes, taking into account a 4% economic growth, exchange rate growth and inflation at 10% and commodity prices growing about 10% compared to last year. With that in mind, TEDPIX is expected to hover around 78,000-88,000 with returns on investments standing at 3-16% for the year to come. The benchmark ended Sunday trade at 76,329. TEDPIX’s growth could potentially be overshadowed by the high return rate in the debt market. However, as there are still investors who want to keep their money flowing in stocks, certain sectors are bound to do better than the main index’s portfolio. The second half of the current year was good for mining firms working with base metals. Rising global prices buoyed their shares and brought them out of years of sticky lows. Experts believe steel, copper and zinc prices will continue to rise and grow at an average rate of 27%, 15% and 23% respectively next year. The only exception to the trend seems to be iron ore. Iron ore jumped in 2016 and extended gains this year as stimulus led to sustained demand from China’s mills, prompting record imports that helped swell port inventories to all-time highs. The surge “was premised on optimism about demand”, Caroline Bain, chief commodities economist at Capital Economics Ltd., was quoted by Bloomberg as saying. At present, the mineral’s rally is showing signs of cracking amid rising concern about the underlying strength of demand in China at a time of still-rising supplies. Bain is predicting a retreat to $45 a ton by the end of 2017, 48% lower than levels last seen in February 2016. Petrochemical companies were also in the limelight during the past year due to rising methanol prices. But as polymer prices dropped, methanol to olefin plants’ demand for methanol started to go downhill. This is expected to negatively affect methanol prices. Similarly, urea and ammonia prices made slight gains during the past few months on the back of rising coal and gas prices. With the high unutilized global production capacity, however, it is unlikely to see urea and ammonia prices rising. In short, the petrochemicals’ performance next year depends largely on getting a good hand and playing their cards right. The auto sector, despite its good record during the previous fiscal year, will not be a reliable investment choice for next year. Up until now, auto shares have lost most of the post-sanction luster they had, as nearly all the profits they made were burned for repaying debts and production costs. Their financial situation might improve next year, but they will still be risky investment choices. Banks had one of their most controversial years, ranging from months-long trading freezes to colossal value declines. They are also currently undergoing structural changes through adopting new, international accounting methods and becoming more transparent. The government’s high debt to the banks and their cash-strapped status make them even more risky. It will take 4-5 years before they become a viable sector for investment again. For cement, things are more complicated. Cement shares have gone up for the past few months on the back of rising cement price speculations and capacity cuts, while producers themselves have based their boosted profit forecasts on rising production and sales. The contradiction here makes them quite risky, but their actual performance will depend on finding new export destinations and resolving the local glut. Pharmaceutical shares have also been on the rise, as producers have boosted sales and profit forecasts. The issue here is that most of the sales have been to the government and the drugmakers have yet to be paid their dues. Therefore, rising output is unlikely to continue and they are expected to face financial issues next year.